Last fall we all went to see Caspar Babypants at the Neptune Theater in Seattle. Elijah has been to a lot of kiddie concerts but this was his first “real” concert where there was a ticket purchase and a theater, etc. 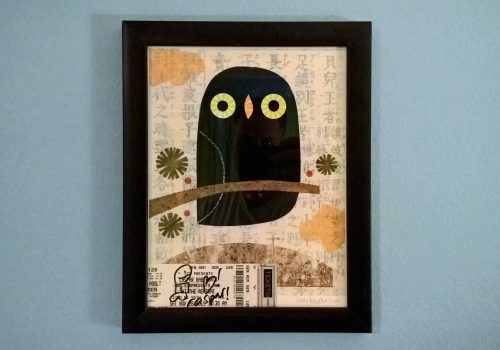 At the concert, we bought some artwork and had it signed by Chris Ballew (Caspar Babypants.) The artwork was done by his wife, Kate Endle. It was pretty cool to get an autograph but I stupidly got it on the plastic covering for the photo. It’s kind of hard to display that. So the next time Tyla and Elijah went to see Caspar, they took Elijah’s concert ticket from the Neptune and asked him to sign that. This simple project took me FOREVER but I finally got it framed and hung on the wall. I want to have a smaller frame for the ticket hanging separately from the artwork, but given how long this simple task took, I figured I should just get part way there. Thanks to Chris and Kate for making great music and artwork! Easter Sunday usually entails a special service with a bunch of extra music which means I generally try to do some video recordings for our YouTube channel. I’m trickling them out one at a time on our Facebook page, but you can see them all right now if you’re interested. We have some very talented musicians in our church! If you’re into organ music, our organist, Wyatt, is giving a free concert at the church on Friday night at 7:30pm. This concert is part of his organ PhD requirements at UW. 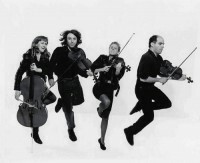 The DJ at our wedding introduced us to a group called “Vitamin String Quartet”. As the name implies, they are a string quartet. They play covers of popular music. That was the music he used during the dinner. If you aren’t paying attention, it just sounds like classical music, but every once in a while it catches your ear and you realize what song they are playing. Check out their music on your favorite streaming service, but one of my favorites is their Jason Mraz album. I also noticed that they have a “Geek Wedding” album which is a bunch of love songs from geeky movies like Lord of the Rings. Tyla is lucky we got married before that album was released. I use it to play music through our whole-house FM transmitter. It crashes/stops pretty frequently and I have to restart it about once per day. There is no sharing of playlists. This is a huge negative for me. Sometimes I want to make my own lists, but very often I just want a curated list that somebody else generated. Or maybe I want to use the playlist that Tyla made of Elijah’s favorite songs. There’s no way to import/export or share playlists in Groove. There’s no family plan. Everyone buy’s their own subscription at full price. With these thoughts in mind, I think we’re going to join the rest of the planet and switch to Spotify when our current subscriptions are up later this year. The first family member pays full price and additional family members are half price. 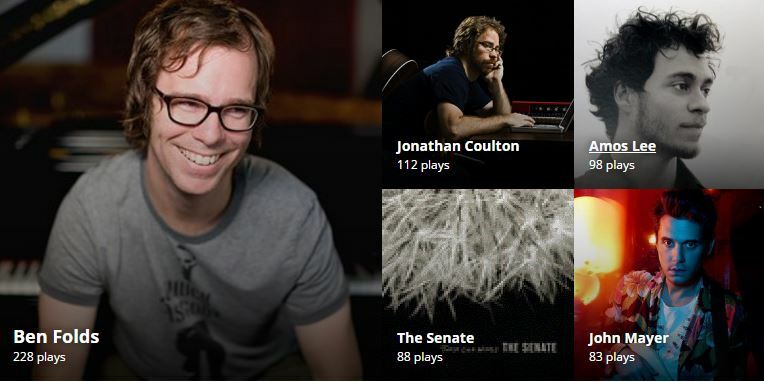 It’s easy to switch but the only real pain point is moving our playlists over to Spotify. Manually recreating them would take forever. Fire up Chrome. Browse to music.windows.com and open your playlist. In the Elements tab, right click on the root HTML node and choose Copy. Paste that into notepad and save the file. Now you need to parse out the artist and song info. There are tons of possibilities here, but I used Power Query in Excel. Basically I filtered for the types of rows that had Artist and Titles. I stripped out all the extra info and voila. I built out a table with two columns: Artist and Title. I copied that table and went to Ivy. That site lets you create a Spotify playlist. It looks up each one of those songs in the Spotify catalog. You’re probably not going to find all of your songs in the Spotify catalog since the catalogs are different, but most of them will probably work. Ivy gives you a button to click that copies the playlist to your clipboard. Then you create a new playlist in Spotify and paste your clipboard into that playlist. Voila! Easy? Nope. Hacky? Yep. But it saved me a bunch of time. There is an SDK for Groove but it doesn’t look like you can easily get playlist contents for a specific user. I started trying to code it up, but this was faster and I’ll never need to do it again anyway.